Full Steam Ahead at the PHFitness Private Personal Training Studio in Derby!! I had just spent the morning and afternoon here at the private PHFitness personal training, nutrition and sports massage studio in Derby, coaching our 1-1 personal training sessions and coaching 1-1 weight-loss nutrition with some of our clients while Lindsay (our in-house sports massage therapist) was delivering her treatments. It got me thinking about how our services had been delivered that day and the meticulous planning and high-level service that our clients had received. Here at the PHFitness private personal training, nutrition and sports massage studio we pride ourselves on top-level service, and when we say top-level service, we 100% mean it. We except NOTHING less. It is all very good claiming to be a high-level service provider but to carry that out correctly, it takes time, effort, passion, and the amount of “man hours” that many are just not willing to put in. Not in the long term anyway, but here at PHFitness, we never stop and we love every second of what we do!! Our private personal training service is just that. Private and personal!! Once a client is training, nobody else has access to the studio and nobody else is allowed in, and that goes for PHFitness personnel too unless they are the coach for that session! The reason that we do this is so that our 100% attention is on the client and on the set training plan that we have created for them and want to deliver accurately. The sessions are held in an immaculate environment, no unclean or dirty equipment, no sweat marks from previous client sessions and absolutely no rubbish left lying around… you just ask any of our clients about how hot on the cleanliness side of things we are here at our studio!! Our 1-1 sessions are delivered in the most professional manner and we accept nothing less than punctuality and a top-level service provided by our coaches at all times, which brings me to my next point. Here at the private PHFitness personal training and sports massage studio, we currently have one other coach on our team. Now, don’t get me wrong, we have the potential to bring in more personal trainers from the Derby area to take on sessions for us. We have had personal trainers inquire about renting our studio space here in the past but we have never taken anybody on. Any coach who walks through the doors here at our studio who is going to deliver any personal training session for us is rigorously screened, interviewed and put through their paces before being placed into our coaching team. This is the reason why we currently only have one other coach here at our studio. We only accept THE best and if they do not cut it and fit with our very specific culture here at PHFitness, they will in no way be placed on to our high level, high performing team. That is just the way that we do things here!! Our in-house sports massage that is delivered here at the PHFitness personal training, nutrition and sports massage studio is delivered in a fully private, fully equipped treatment room which we believe is second to none in the industry. The sports massages here are carried out with the highest level of service and care that our private personal training and nutrition service is carried out with, we accept nothing less. We have only one sports massage therapist here at our studio who uses the therapy room. 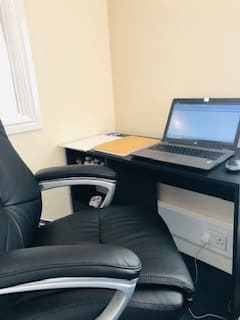 Again, we have had many inquiries regarding the rental of our therapy room but just like every other arm of our business, we will not accept any other service provider through our doors unless they have been interviewed and have the same beliefs and level of care that goes hand in hand with the culture here at our studio. Again, that is just how we do things here!! As many people already know, a huge part of what we do here at PHFitness involves 1-1 weight-loss and performance nutrition advice and guidance for our clients. Just like our private personal training and sports massage service, nutrition is something that we are seriously passionate about and hold ourselves accountable to only giving the very latest evidence-based nutritional information and guidance. We do not mislead people, we do not push useless supplements that we take a percentage from and we do not offer useless testing and then try to sell you a subsequent useless plan to “suit your body type” (do not get me started on those types of people in the industry!) We only deal in offering real, honest and evidence-based advice that is backed up by science and not some crazy belief system, nutritional quackery or pseudoscience approach. 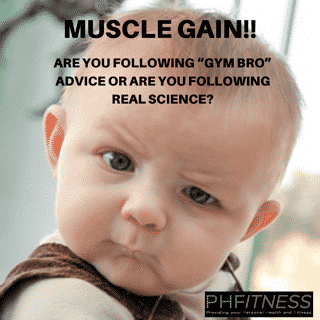 Nobody at PHFitness gives nutrition advice without knowing the science behind what they are saying and if we do not know, we will absolutely be transparent and tell you that. We will not lie to people just to make ourselves sound clever! Again, it is all about offering our clients a real and honest service.